Lying ten miles off the coast of Maine, Monhegan Island is one of the most historical islands on the east coast. It was home to one of Maine’s first fishing villages and has been visited by explorers since the 1500’s due to the accommodating harbor between itself and Manana Island. The cliffs which rise up to 160 feet made it an important landmark for early navigators. 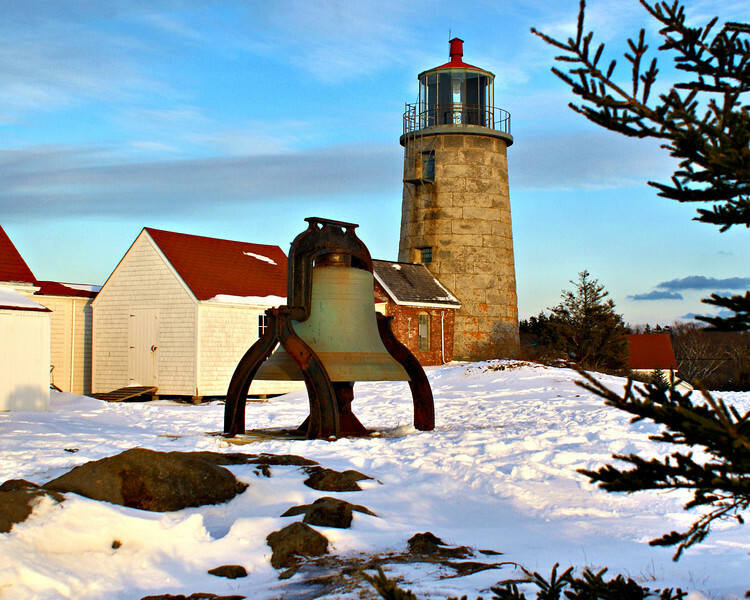 Soon after Maine gained statehood in 1820, the state legislature sent a petition to Congress requesting the erection of a lighthouse on Monhegan Island. In May 1822 Congress responded by appropriating $3,000 for the construction of the Monhegan Island Lighthouse. A 2 acre plot of land atop Lookout Hill (now known as Lighthouse Hill) was purchased for $100 for the lighthouse station. In November 1823 a contract was awarded to Noah Humphrey and Jairus Thayer of Hingham, Massachusetts to build a tower and keepers dwelling for $2,969.